LIVEBARN IS LIVE AT HOUGHTON COUNTY ARENA! LiveBarn provides online broadcasts of hockey games at many rinks across the US & Canada. Games are broadcast both live and via on-demand replay. Friends & Family can watch online when they cannot attend a game. Athletes and coaches can review games and share video highlights online or download full games for review and archive! LiveBarn is available via a monthly subscription basis starting at $14.95/month. 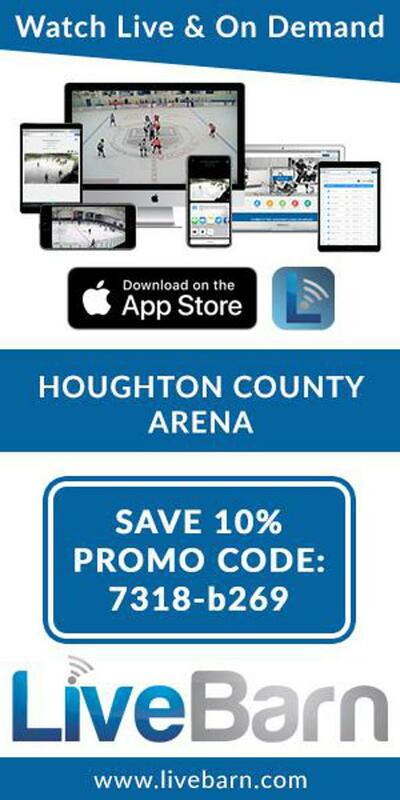 Use the HOUGHTON COUNTY ARENA PROMO CODE: 7318-b269 for a 10% discount. 2. Search for your rink using “Houghton” and select rink.